W. W. Norton & Company, 9780393351156, 288pp. In this unique history of 1776, Claudio Saunt looks beyond the familiar story of the thirteen colonies to explore the many other revolutions roiling the turbulent American continent. In that fateful year, the Spanish landed in San Francisco, the Russians pushed into Alaska to hunt valuable sea otters, and the Sioux discovered the Black Hills. 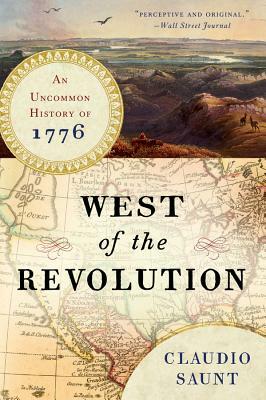 Hailed by critics for challenging our conventional view of the birth of America, West of the Revolution " coaxes] our vision away from the Atlantic seaboard" and "exposes a continent seething with peoples and purposes beyond Minutemen and Redcoats" (Wall Street Journal).